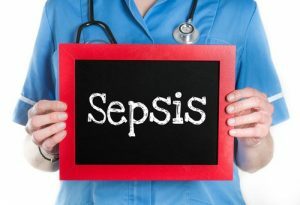 Sepsis refers to the presence of an infection, often a bacterial infection, in the bloodstream. Neonatal sepsis refers to the presence of an infection in the bloodstream of newborn babies. The condition affects less than one percent of infants, with the highest instance of the condition affecting low-birth-weight newborns. Cases of early-onset occur within 24 hours of birth, where the baby gets the infection from the mother either during or before delivery. Some of the causes of this may include premature delivery, infections in the placenta and in the amniotic fluid, or the mother’s water breaking more than a day before delivery. Late-onset cases of neonatal sepsis are acquired after birth. These cases may be the result of prolonged stay in a hospital, exposure to infections, or contaminated equipment. Some of the possible complications that may arise from neonatal sepsis include brain damage or death. Infants with neonatal sepsis may exhibit symptoms such as difficulty breathing, frequent or drastic changes in body temperature, excessive bowel movements and diarrhea, and reduced movements (such as sucking while feeding). Newborns might also experience seizures, vomiting, jaundice, swollen belly, or either slow or rapid heart rates. If your baby displays any of these symptoms, seek medical attention immediately. Treatment depends on type and severity of the infection. If the infection is bacterial, the infant may need intravenous antibiotics. If the infection is viral, such as infections that come from the herpes virus, treatment may be as simple as medication. At Thurswell Law, we do not take birth injuries lightly. The effects of complications prior to, during, and shortly after delivery often leave families in ruins. The care necessary to manage birth defects can cost thousands of dollars. When birth injuries are caused by negligent care from the medical professionals, the results can be devastating for mother and child. If you believe that your child’s neonatal sepsis or birth injury may have been the result of malpractice the medical team, contact Thurswell Law for a free consultation at 248-354-2222.